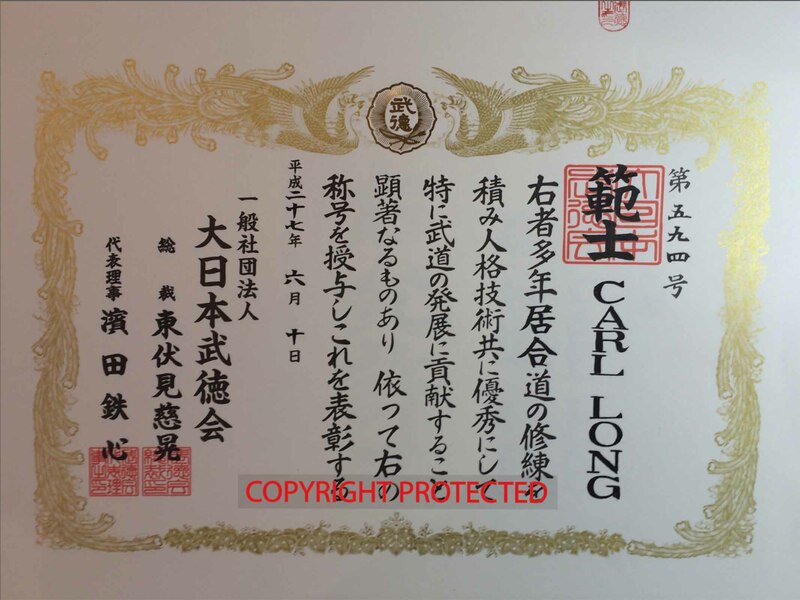 The current Chairman and So-Shihan of the Kokusai Nippon Budo Kai is Carl E. Long. He is responsible for the instruction and certification of KNBK Instructors and Dojo throughout the North America, Central America and South America, Africa, Asia, Australia and Europe. Carl Long’s interest in Martial arts began as a teenager, when he studied Judo, Karate-do, Okinawa Kobudo weapons and other traditional Japanese martial arts. 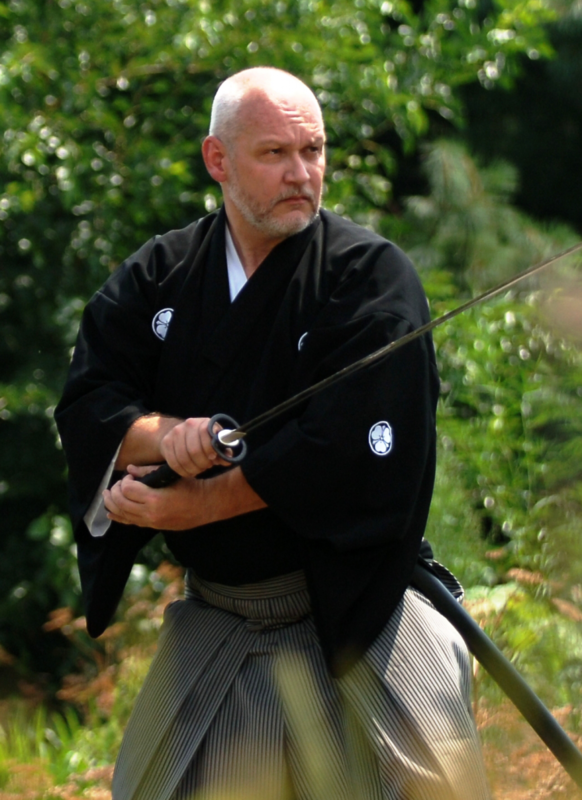 He achieved dan ranking in several of these arts before focusing his attention predominantly on Iaido (or Iaijutsu), the art of Samurai swordsmanship.His interest in martial arts began early and he began his karate training in 1968. He has since achieved dan ranks in Shorin Ryu Karate, Shito Ryu Karate, Okinawa Kobudo, Aikido, Shindo Muso Ryu Jojutsu and Muso Jikiden Eishin Ryu Iaijutsu. Long Shihan is the senior-most student of Shimabukuro Masayuki Hanshi, his highest ranked student and appointed as the KNBK designated successor by Hanshi Shimabukuro. Hanshi Long has been unanimously confirmed as the rightful heir of this MJER line of succession by the Dai Nippon Butoku Kai Kenshoin Budo committee, the DNBK Board of Directors and DNBK Sosai – Prince Higashi Fushimi Jiko of Kyoto Japan. 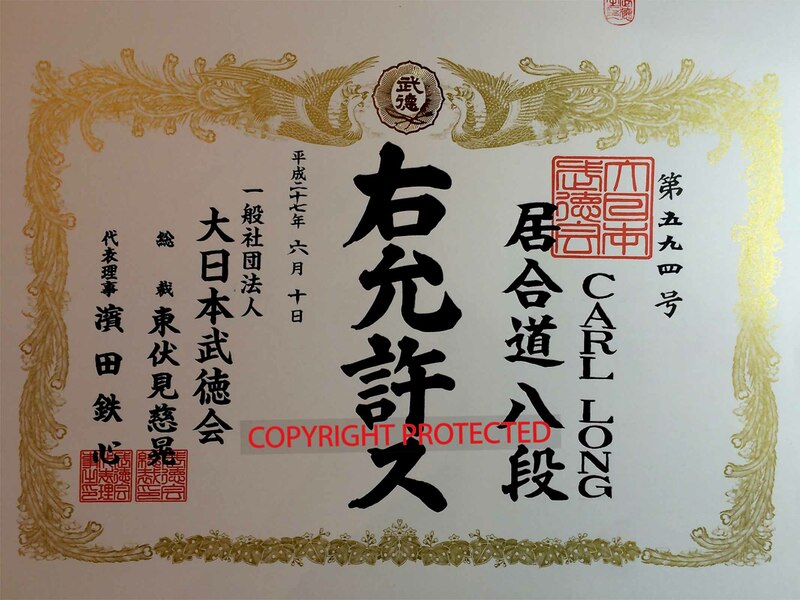 Carl Long is presently ranked 8th dan Shorin Ryu Karate, 8th dan Muso Jikiden Eishin Ryu Iaijutsu, 8th dan DNBK Iaido, 6th dan Shito Ryu Karate, 5th dan Okinawa Kobudo, 7th dan DNBK Jojutsu. 1989- Establishes Sakura Budokan, Kingston PA.
1995- Appointed Eastern USA Representative Jikishin-Kai Intl. 1997- Appointed Eastern USA Hombu-Cho Jikishin-Kai Intl. 2006- Appointed Vice Chairman Jikishin-Kai Intl. 2009 – Receives Muso Jikiden Eishin Ryu Kyoshi title. *MJER Legacy confirmed and recognized by Dai Nippon Butoku Kai Honbu, Kyoto Japan on June 29, 2014.